Installation artist Kate McQuillen has cloaked the facade of a two-story suburban home in an image of the night sky. 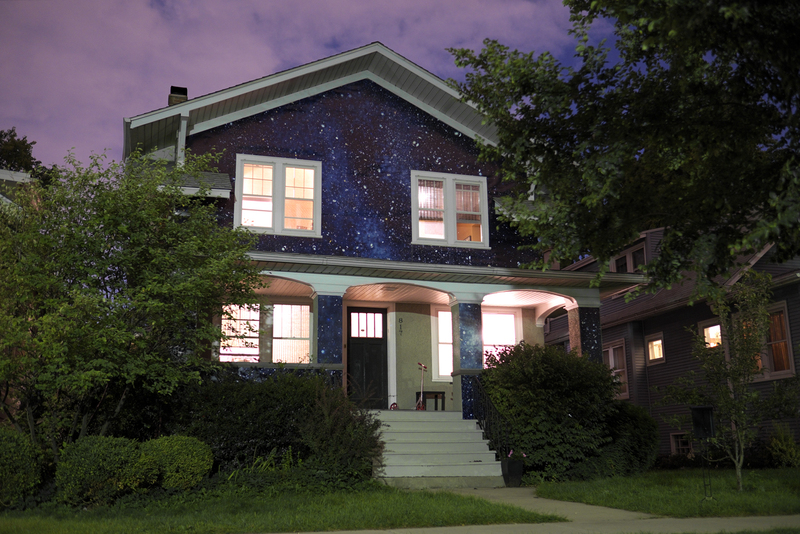 Sited specifically within the peaceful neighborhood setting of Oak Park, Illinois, McQuillen’s large-scale installation, titled “Night House,” swaths the front of a two-story suburban home with a printed image of a glittering, star-filled night sky. The installation sparks considerations of cosmic themes, dreams, and the outsized aspirations held by those who live behind ordinary suburban homes. The installation pictured above is at the home of curator Claudine Isé, in Oak Park, IL. It is part of the 2nd Terrain Biennial. The artist used a plastic, printed with an image that she created from Hubble telescope photos, to cover the facade of the home. 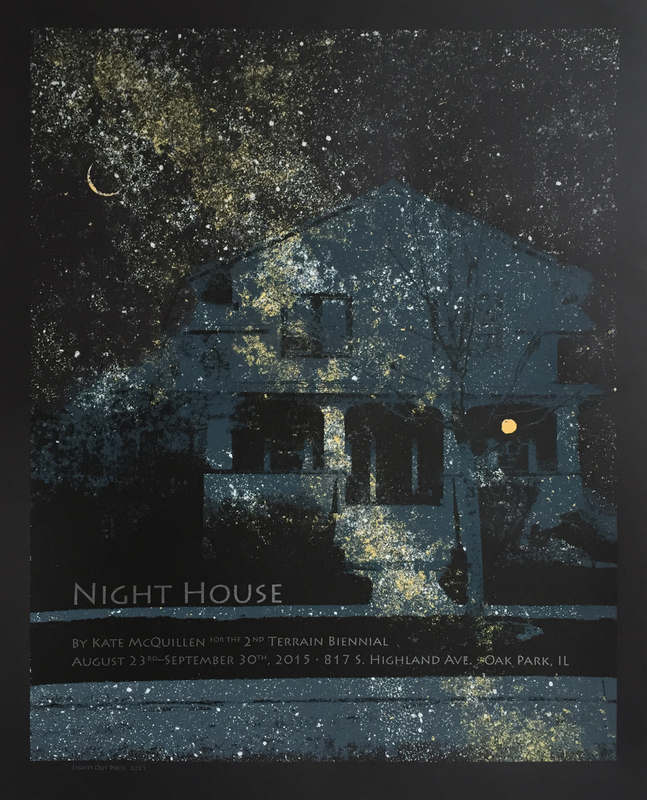 Purchase the Night House poster and help produce this piece of public art! To support this project, we are selling a silkscreened poster, available here, for $30. These handmade screenprints were produced by the artist, and feature a number of inks: glow-in-the-dark, silver, varnish, yellow, white and a split fountain. They are 16″ x 20″, and are printed on Neenah Eclipse Black paper. Your support will help create a piece of public art, viewable 24/7, for five weeks!